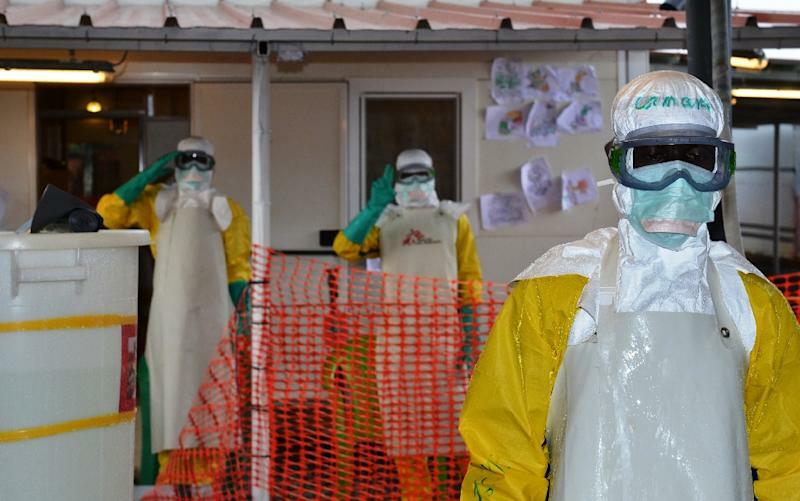 Geneva (AFP) - The World Health Organization said Tuesday it will study the idea of using sanctions to punish countries that do not comply with global health regulations, following widespread failures in the response to the Ebola outbreak. The WHO has created a committee to review the fiercely-criticised global reaction to the Ebola epidemic, including why so many countries seemingly disregarded the International Health Regulations (IHR) agreed a decade ago by 194 member-states. The head of the committee, Didier Houssin, said lack of awareness about the rules and a lack of capacity in health systems -- especially among the low-income west African nations hit hardest by Ebola -- could be partly to blame. But, he told journalists, WHO also intends to study whether a tough penalty system could lead to better compliance when the next serious outbreak emerges. Houssin said his committee has asked the WHO secretariat to advise on what "methods of compliance can be used with international law." When it comes to "weapons and nuclear activities... there are sanctions controls, inspections," he said. "With international health regulations, there (are) no sanctions, but we observe that there is not good compliance," he further said. Houssin noted that he was not convinced a penalty system was appropriate in the health sector, but said his committee was going to explore the question closely in the wake of the woeful response of to the Ebola epidemic. "We are in a state of crisis...Everybody feels that something needs to be improved," Houssin told reporters. Ebola circulated undetected in Guinea for three months after it first surfaced there in December 2013. Even in neighbouring Sierra Leone, where health officials were on high alert, the virus spread undetected for at least a month, allowing it to take hold. Some countries implemented blanket travel restrictions during the height of the crisis in defiance of international guidelines. Addressing the review committee on Monday, WHO Director-General Margaret Chan said the organization and other bodies were "overwhelmed" by Ebola, calling for swift and possibly drastic reforms. There are hopes that the Ebola outbreak -- which has claimed some 11,300 lives in Guinea, Liberia and Sierra Leone and 15 elsewhere -- could be declared over by the end of the year.